Amazon launched its flagship music streaming in India on Wednesday as the e-commerce giant continued efforts to grow its footprint in the country. Amazon Prime Music went live on the same day that Times Internet-backed Gaana, one of its biggest competitors with 60 million montly active users, raised $115 million in funding led by Chinese internet conglomerate Tencent. Amazon's music streaming service, which was previously limited to its Alexa-powered Echo devices, has a desktop version as well as iOS and Android apps. 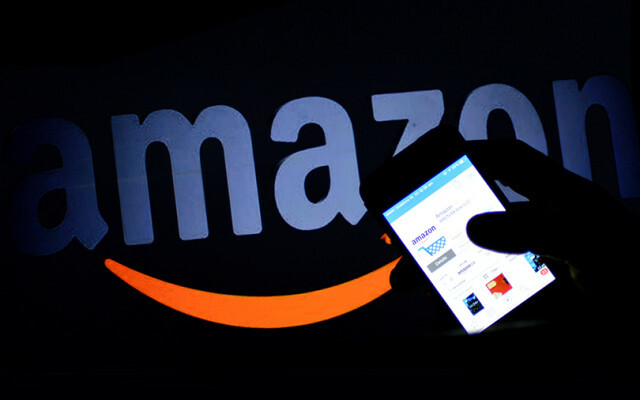 Members of Amazon's premium subscription offering, Prime, who have the app installed on their phone can access Amazon Prime Music immediately after confirming their credentials. A quick browse through the app suggests it has more finesse than competitors such as Gaana, Wynk and even Saavn to some extent. A vast library is essential for music streaming services and Amazon Prime Music already appears to have beefed up its playlist with local as well as international tunes. Amazon India had a fortnight ago announced a deal with Warner Music Group (WMG) to bring the US publisher's catalogue to customers. It had earlier struck partnerships with Zee Music and Saregama. The service offers music from yesteryear international artistes such as The Beatles, Michael Jackson as well as modern stars such as Adele, Ed Sheeran, Taylor Swift, and Selena Gomez, among others. Users get to choose their preferences such as mood and genre, while the service also features “Stations” that stream a curated collection based on artistes, languages and era. As far as Indian music goes, a cursory search for popular Indian artistes such as AR Rahman, Mohammad Rafi, SS Thaman, Ilayaraja, Pritam, Harris Jayaraj, Arijit Singh, Vishal-Shekhar, Shankar Mahadevan threw up several results. However, some popular songs were missing and established players like Saavn and Gaana do offer more niche content. Sound quality was also a bit of a let-down as there was no equaliser on offer. That said, Amazon Prime Music has arguably made a better start than Prime Video, which seemed a work-in-progress at its launch. Even now, rights for popular films and TV shows — international, Bollywood and regional — are often lost to the likes of Netflix and Hotstar. Gaana and Saavn both price their subscriptions at Rs 99 per month while Airtel's Wynk costs Rs 49 per month for ad-free streaming services. Airtel's Wynk, which has more than 300 million consumers, has an advantage with the app offered free to certain high-paying postpaid subscribers of its mobile services. All these apps offer a 15-20% discount for taking an extended subscription in advance. They also allow their paid subscibers to download music in addition to streaming. Apple's music streaming service, Apple Music, is available for Rs 120 a month. The app is also available for Android users. The music service is an add-on bonus for Prime members, which means its large pool of subscribers will instantly get access to it in addition to existing video streaming services and faster delivery options for Rs 999 a year (effectively Rs 80 a month). Amazon has repeatedly said that Prime subscription has seen a higher adoption in India than anywhere else in the world during the first year of operation. Despite a few hiccups, Amazon Prime Music's competitive catalogue and pricing appear strong enough to make a dent in the customer bases of rival music streaming services.